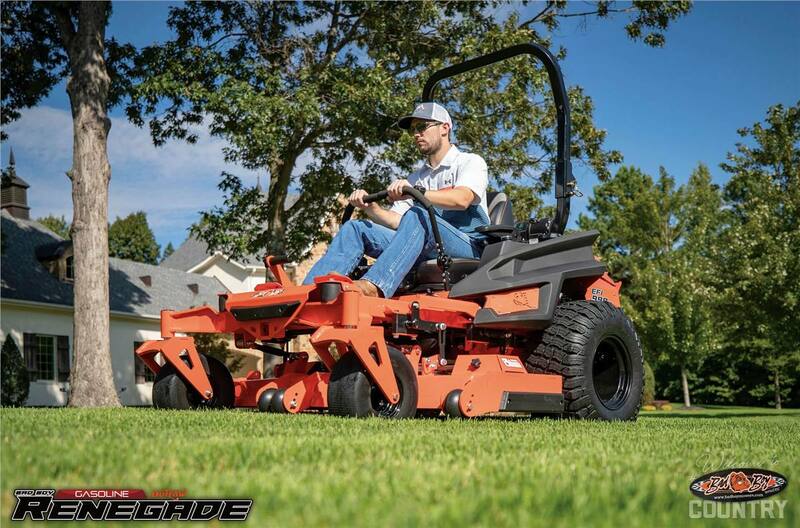 2019 Renegade Gas Vanguard® EFI 993cc 61"
2019 Bad Boy Renegade Gas Vanguard® EFI 993cc 61"
Renegade Gas Vanguard® EFI 993cc 61"
There’s simply no better commercial-grade zero-turn mower for the demanding lawncare professional or large acre homeowner. 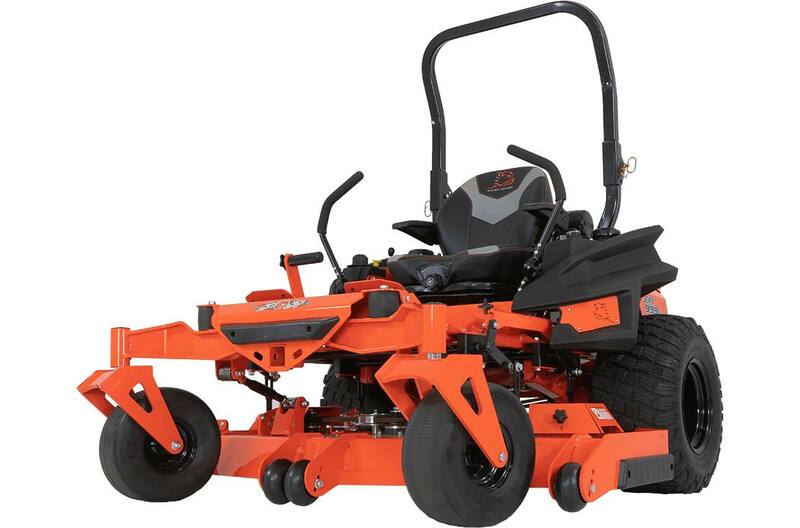 This beast offers the best of everything we’ve advanced in the industry, and all the while, is firmly rooted in the build quality, ease of use and toughness that every Bad Boy Mower before it was built on. There’s just never been more power to comfortably dominate your terrain. 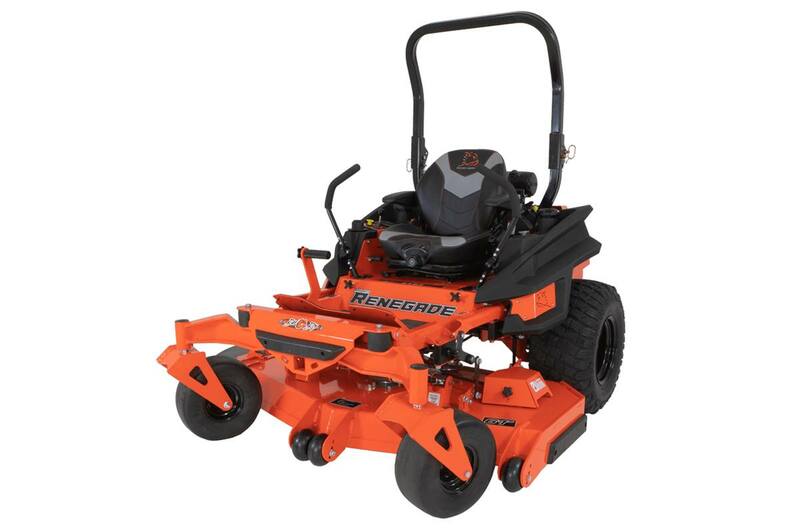 The Renegade Commercial Zero Turn Mower features our All New 3-Link Rear Trailing Arm Suspension — the first and only of its kind in the industry. 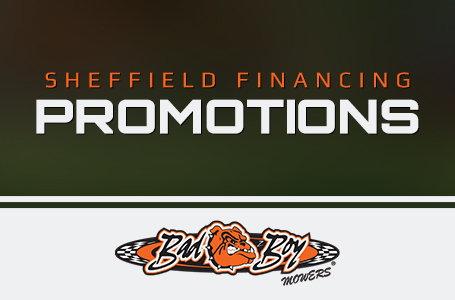 Matched with front suspension arms, to provide a smoother ride, more consistent tire contact and increased hillside stability. 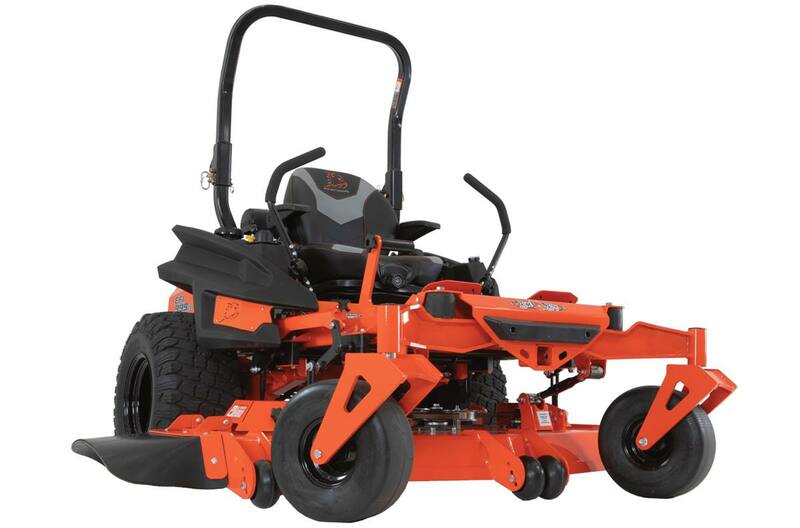 Paired with our All New Adjustable Footrest and Premium Suspension Seat the Renegade Zero Turn Mower provides all day comfort with unsurpassed cutting power. Cutting Width: 6100 - 61"
Weight: 6100 - 1,535 lbs. 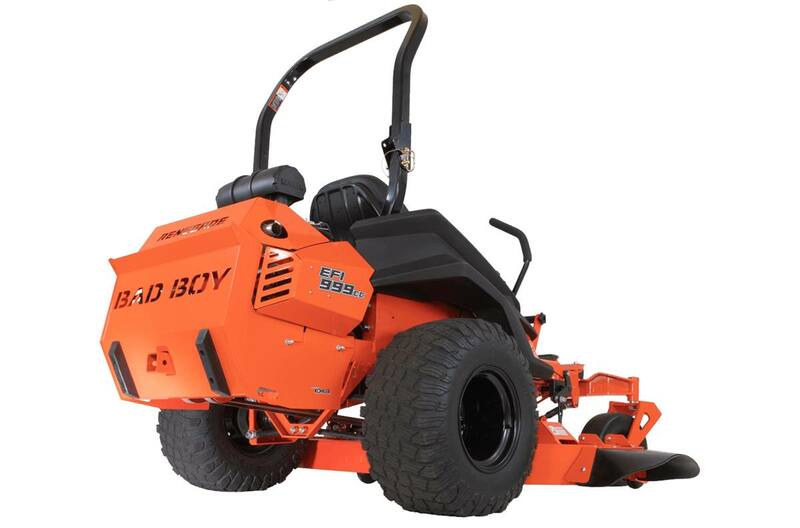 Overall Width: Chute Up/Chute Down: 6100 - 62"/75 1/2"
Tire to Tire Width: 6100 - 59"
2019 Bad Boy Renegade Gas Vanguard® EFI 993cc 72"